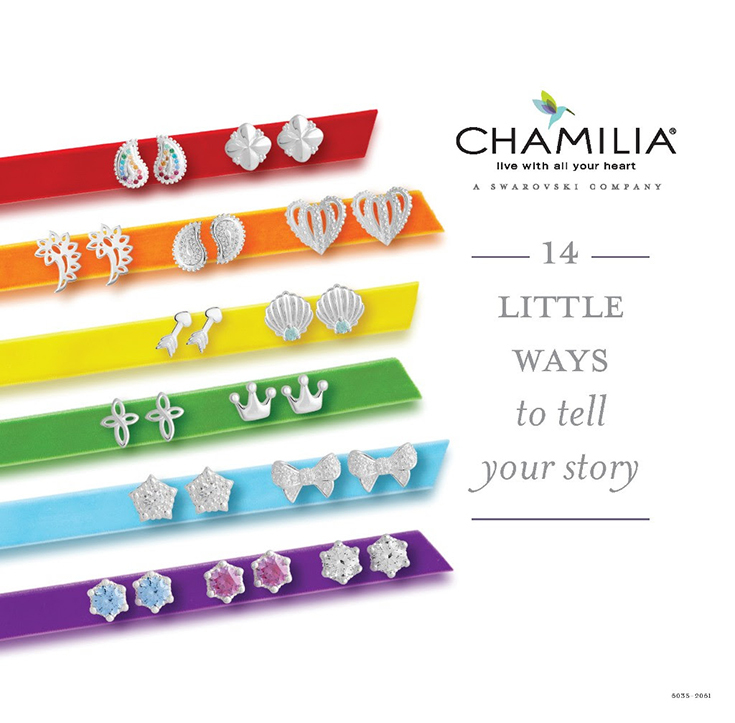 This month you can now find Chamilia’s NEW Stud Earring line online and in select Chamilia retailers. This beautiful new collection includes 14 earring styles that are made from sterling silver or 14 karat gold and feature genuine Swarovski Crystals and Swarovski Zirconia. If you are looking for something cute and dainty for your ears these new earrings are the ones! I received the Crown Hearts Earrings that are made from sterling silver that are a symbol of love and a classic silhouette! What I like is that these earrings will go with everything that I own! “We’re here to help a woman tell a story that’s hers alone through her jewelry,” said Kristin Coaker, Head of Merchandising and Brand Communicationsfor Chamilia. “Stud earrings are an area of expansion right now due to increased demand in the category. We are seeing constellation piercings, in particular, as a growing trend. 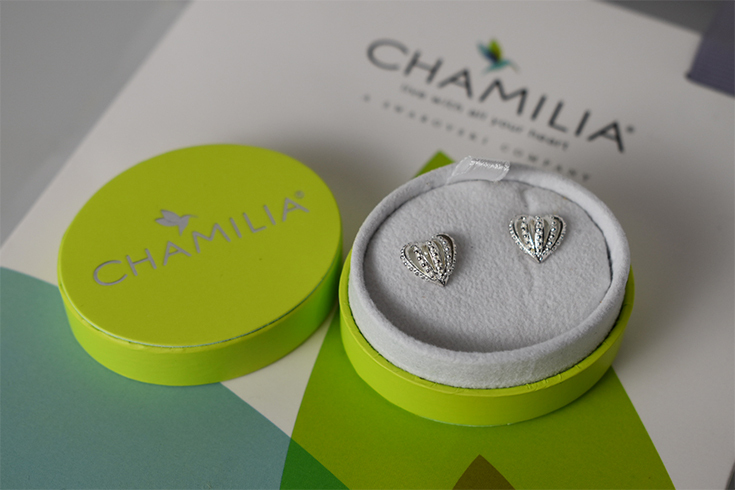 Chamilia stud earrings are collectible, affordable, and last a lifetime. The classic motifs in this collection are truly timeless, as are the materials the earrings are crafted in. If you know someone that is a Swarovski fan, these earrings would make a PERFECT gift idea if you are shopping on a budget. 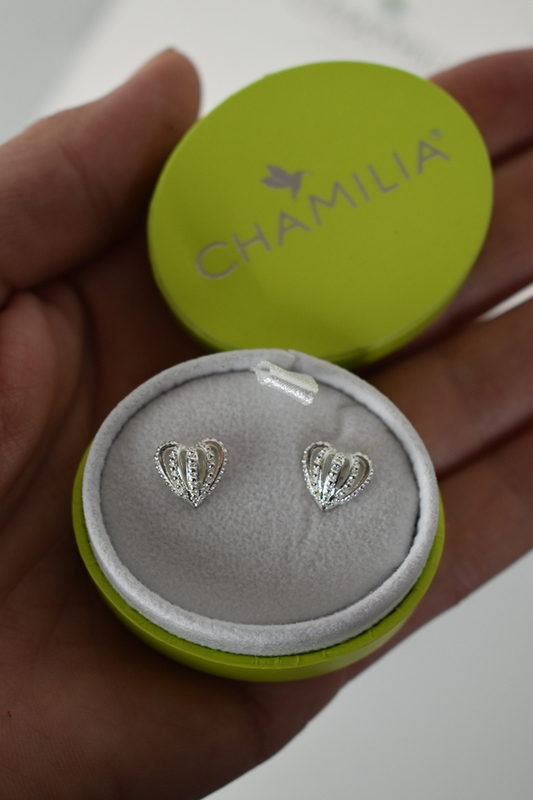 Find more jewelry from Chamilia by visiting their website at: chamilia.com.